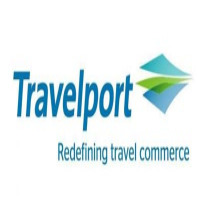 Nairobi, Kenya, September 19, 2016: Travelport, a leading Travel Commerce Platform providing distribution, technology, payment and other solutions for global travel and tourism industry has announced its Mobile Payment Solution for travel agencies in Kenya is now live via its industry-leading point of sale technology for travel agents, Travelport Smartpoint. In Kenya, thanks to the popularity of person to person (P2P) payment services, 89 percent of Kenyans are familiar with mobile P2P payments and 68 percent are frequent users.1 This new, Travelport plug-in development allows travel agents in Kenya to accept payment for travel services via mobile devices from travellers, using either M-Pesa or Airtel money, as an alternative method of payment instead of cash or credit card. The solution is powered by 3G Direct Pay mobile payments platform, the leading online payments provider in Africa. The product is an example of how Travelport is addressing the needs of the travel industry and tailors its product offering to offer additional value to its travel agency customers. Travel agents can avail of Mobile Payment Solution free of charge. The benefits of Mobile Payment Solution are significant to the travel agent and traveller community. For travel agents the solution improves work efficiency by allowing them to issue instant mobile payment requests within their agency screens; it saves time as it removes the need to leave the workflow to accept mobile payments and it reduces errors as all mobile payments are automatically checked for authorisation during the ticketing process. For travellers the solution allows for seamless payments, making payment transactions secure and less open to fraud. The new Travelport Smartpoint plug-in also brings a significant value to travellers in Kenya by providing them with more payments options, particularly as consumers in Kenya have very high levels of familiarity with frequent usage of mobile payments 1 instead of paying with cash, cheque or credit card.